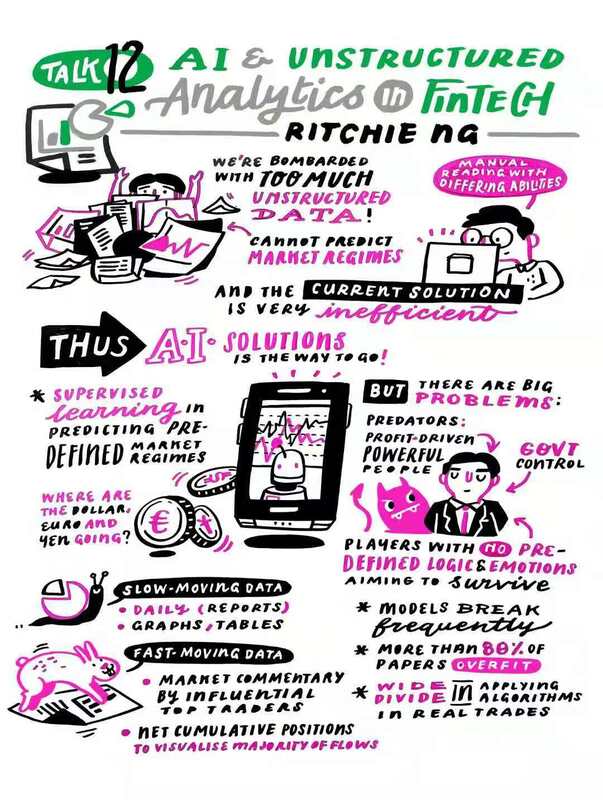 Visual summary of my talk on AI and Unstructured Analytics in Fintech. Doesn’t contain everything, but whatever the non-technical designers could come up with in real-time. Really amazing so kudos to them. Really thankful to the whole team in my former lab, NExT++ and a close friend, Choon Meng, for making all the arrangements. Also thanks to Tek Min, Yi Hao and everyone else. Super happy to catch up with Prof Tat-Seng Chua (KITHCT Chair Professor at the School of Computing), Prof Sun Maosong (Dean of Department of Computer Science and Technology, Tsinghua University), and Prof Dame Wendy Hall (Director of the Web Science Institute, University of Southampton).